NYC Locksmith Pro is always ready to provide you best services. If you are locked somewhere like at home, in a car, in an office, then there is no need to get panic you can get help from us with a single call. Our services are always available at any time means on the concept of 24x7 a day. We can provide new key for open a door with a proper cutting of a key. We can imagine the time of emergency where you didn’t get any kind of help. So we are always available, like on weekends also. Our services are available for any kind of solution for auto lock. When auto lock is giving you trouble then our services are always available for you. We have special techniques to solve any kind of lock problems. Our solutions are ever ready to tackle with any kind of lock problems.We have special services for Auto lock; Services for Transponder Keys, Push Start / Proximity Keys, New car keys, Car or trunk lockout, Keys locked in car, Key Fob programming, lost ignition key. If you are getting problem on any spot or location of New York then our services are available to provide best solutions. NYC Locksmith Pro has several types of solution for tackling with any kind of lock problems. Our services are available for commercial locksmith, residential locksmith and automotive locksmith. If you are troubling with any kind of lock problem then there is no need to get worries because our solutions are ready to giving repair for any kind of lock. With high security techniques and advance programming we ready to tackle with lock problems. NYC Locksmith Pro is always ready to provide you the best solution services for tackling with any kind of lock problems. For Commercial Locksmith Services, Residential Locksmith Services and Automotive Locksmith Services you can call us at any time of a day because our services are available for 24-hour a day. We provide our services on weekends also. We are ensuring you that our work is to provide the customer is only on 100% guarantee and no extra charges will apply on any kind of services. 10% discount is available for Old age persons, Military Persons and for Criminal Victims. NYC Locksmith Pro is available 24 hour a day. You can ask us for any kind of help regarded to any kind of lock problem; we will surely deliver you the best solution services to you. We just provide our services on reliable prices with reliable work. Our work is to be serving in front of customers with on the aspect of 100% quality. Work quality matters for us a lot. We love to provide services on any time and a day for your help but that doesn’t mean that we use to charge more for any kind of services. NYC Locksmith Pro is meant for helping you on the time of expert locksmith need in New York. We are providing locksmith services to help people by giving best repair to the problem of locks. Our services are specialized for providing any kind of solution to solve any kind of problem related locks with advanced techniques.Our services are meant for providing protection of top quality security systems.If you are trying to get better keys for your locks as per proper security which works with special high-security systems like dependability and efficiency for work then there is no need to hesitate, just call now. 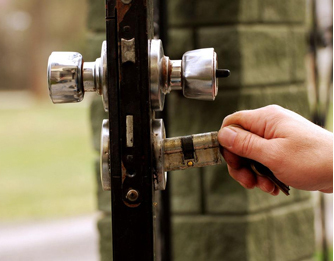 Residential Locksmith NYC Provides security systems and keys for your home. Commercial Locksmith NYC Help you to make proper control on locks with locksmith. Automotive Locksmith NYC You can trust us for speedy services as on time always. No extra charges will apply on the weekends services and holidays services. We are available for 24×7 a week. Special discount for military persons, old age persons and for crime victims. Special and work base charges only.